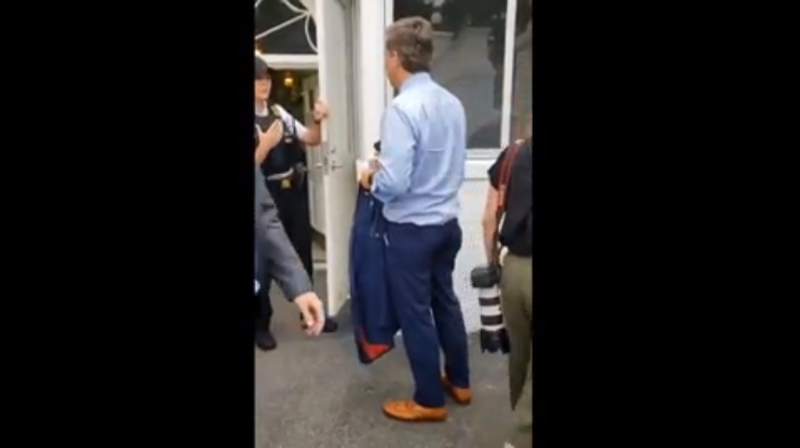 CNN’s Jim Acosta tried to pull the old ‘do you know who I am’ song and dance to gain access to the White House. But the secret service was having none of that nonsense what-so-ever. A hilarious video being shared around at the moment shows CNN’s Jim Acosta trying to convince Secret Service that he’s a somebody that should be allowed access to the White House. However, from what reports are saying, Acosta wasn’t wearing a security lanyard or rather his hard pass. Therefore Secret Service under their strict policy could not allow him to enter the building. But big Jim could not grasp the fact nobody is allowed access without a hard pass. And we all know how Jim Acosta is with facts, not very good. So because Acosta was walking around and trying to gain access without wearing a pass around his neck, the Service agent asked to see it. However, Acosta didn’t have it on him. But that didn’t stop him from still trying “I’ve been here five years and nobody has said that to me.” Acosta said trying attempting to play the ‘do you know who I am’ card. It’s at that moment Jim Acosta is clearly unhappy and scurries off presumably to go fetch his hard pass.